April 8, 2019 by Tobey Williamson, L.Ac. 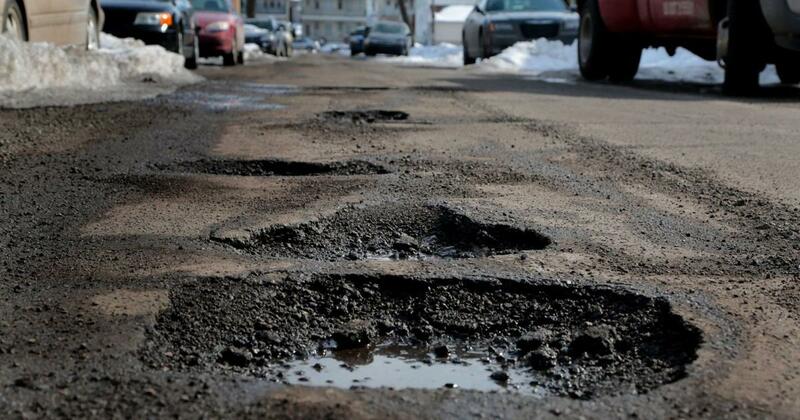 I heard that we should expect an “ambitious set of paving projects” for the coming construction season. Which of course means that traffic will be, shall we say, “different,” this summer. Personally, I think I would have preferred several less-ambitious paving projects done during the previous several seasons. A stitch in time saves nine, so to speak. Maybe then our daily driving would not be as disrupted first by the potholes, then the traffic associated with repairing nearly every road in the city at the same time. Many of us see the maintenance of our bodies and our health the same way, unfortunately. We choose not to exercise or to focus on the rich taste of our food rather than its nutritional value. We don’t ask for help with our aches and pains. It feels easier to discount the future today with decisions that may eventually lead to the “ambitious health repair project” in the future. If we have to we’ll get through the surgery and the rehab just like we’ll get around potholes and summer road construction traffic. It will be inconvenient and we will wish it were different. Health maintenance really can be simple. Eat the rainbow. Not too much. Make moving your body a regular part of each day. Nourish your family and friends. Grow your spirit and your mind. Work at fulfilling projects with supportive colleagues. Relax. Get regular acupuncture and massage treatments for a few weeks when you hurt, and then monthly so you don’t. Overall the goal is to keep your blood healthy and moving and your body flexible and pain free. More information here about how Seitai Shinpo acupuncture is particularly helpful at nourishing blood and improving posture so your body can function best. Come on in for treatment and let’s talk about your health goals. Eastern Medical Arts. What does that mean?